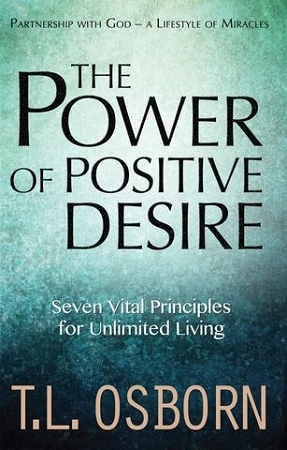 Description: When understood and directed positively, desire is a powerful force that liberates men and women from mediocrity and prejudicial religious influences. Once freed from these limitations, people can experience positive circumstances as God's abundant goodness is released in their lives. T L Osborn outlines seven vital principles that enable people to discover their own spiritual self-wealth, forever replacing ordinary life with real living at its best. To read the first chapter of this book click here!